We’d love your help. 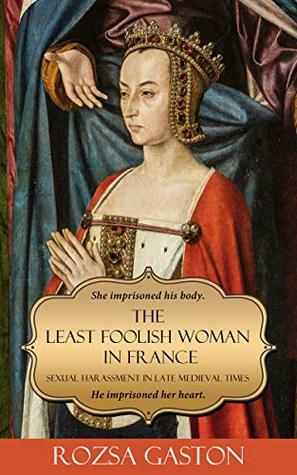 Let us know what’s wrong with this preview of The Least Foolish Woman in France by Rozsa Gaston. Anne de Beaujeu is France’s most powerful woman in 1491. Yet she can't have the one thing she wants most: the love of Louis, Duke d’Orléans, future king of France. Wh In a startling twist on the #MeToo movement, discover the secret torment of a future king of France caught between two royal sisters-in-law: one his worst nightmare, the other the deepest desire of his heart. To ask other readers questions about The Least Foolish Woman in France, please sign up. ROZSA GASTON writes playful books on serious matters. Women getting what they want out of life is one of them. GASTON studied European history at Yale, and then received her master's degree in international affairs from Columbia. She lives in Bronxville, NY with her family. Visit her at www.rozsagaston.com.